Arkansas, The state of Quapaw Indians, is one of the developing states of the nation. The state’ economy is based on its agriculture, food processing, and health care industry. The state is ranked 9th in terms of growth prospects and the health care industry is one of the top employers in nation. Four of the top ten employers in the state belong to the Health care or Medical industry, which include the University of Arkansas for Medical Sciences, Baptist Health, Sisters of Mercy Health System and Arkansas Children’s Hospital. The health status has also dwindled in the state in past few years. The obesity level and death rates have increased considerably. What is the Arkansas board of Nursing and what are its basic operations? As per the federal laws, it is mandatory for each state to have a board of members, which will keep the track of medical services in the state. 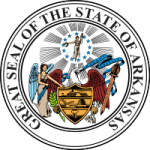 The Arkansas Board of Nursing is the administrative council, which is responsible for enforcement of the nursing laws and regulations in the state. The Board is established to maintain the service standards and protect the public interests by offering quality training programs. You can access the board’s website for reviewing the various education programs and other informative columns. The Board keeps record of information on various topics. Ratifying and rebuffing the request for various nursing programs by schools, colleges and nursing homes in the State. Reviewing the performance of training programs, based on pass rate of certification examinations. Renewal and Recertification of expired licenses in the State. Maintaining the complaint log and abuse registry in the state. The Board provides information on imposter alerts, licensure status, laws & rules, Discipline, structure and staff members of the board. There are 13 Board Members which are appointed directly by the State governor, or, by the state legislative assembly. There are 24 staff members working under the State Board of Nursing also. These are appointed by the State Board of Nursing itself and carry various job responsibilities such as legal support, attorney, licensing coordination, general counseling, fiscal support, programs coordination etc.